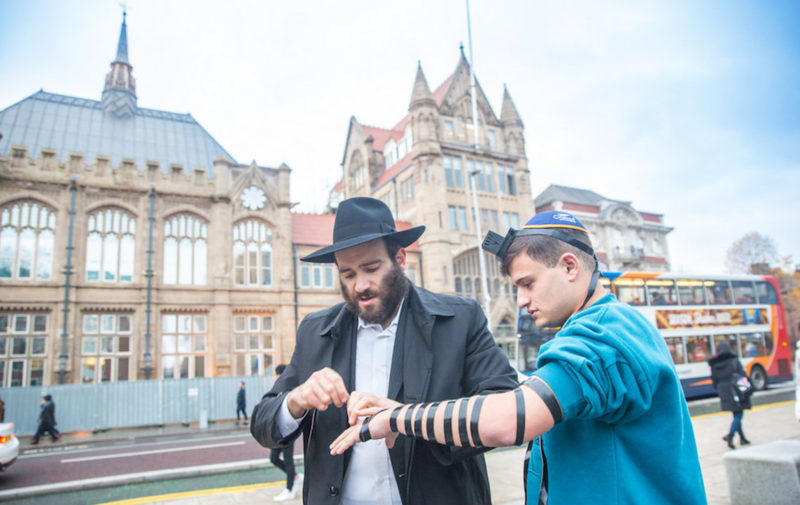 The Merkos Shlichus program dispatches Roving Rabbis that include hundreds of rabbinical students that travel each year to small Jewish communities around the globe for Pesach, during the summer, and the High Holidays. Created and directed by the Rebbe, Rabbi Menachem M. Schneerson, of righteous memory, Roving Rabbis is one of the oldest and longest running revolutionary outreach programs, since its founding in 1943, almost 70 years ago. Rabbi Moshe Kotlarsky has been coordinating and expanding these programs for the last quarter of a century under the auspices of Merkos L’Inyonei Chinuch. During Passover and the High Holidays, our rabbinical students run seders and provide services for local Jews, many of whom would not otherwise be involved in any holiday event. Since most of the locations our students visit have no full-time Jewish presence, our rabbinical students bring with them all necessary Judaic and Holiday supplies, including: kosher wine; matzah (at Passover) and challah (during the rest of the year); kosher chicken, meat, and gefilte fish; and Hagaddahs or Machzors. During the summer months, the students spend time meeting with local Jewish residents, sharing with them their passion for Jewish life and bringing Jewish awareness and observance wherever they go. In 1943, the Rebbe set up a system to deepen the connection of American Jews in remote locations to their people and their religion. Under the guidance of his father-in-law, Rabbi Yosef Yitzchak Schneersohn, of righteous memory, the Rebbe created the Merkos Shlichus program, sending vibrant yeshiva students armed with spiritual aid to visit ten cities in Upstate New York during the summer. In 1944, a number of cities in California were added to the program. By 1945, the Deep South of the United States was also included. By 1948, participation in the summer program had expanded to include approximately twenty students and one hundred American cities. These early groups typically consisted of one English speaker and one European immigrant. In the late ‘forties, the program expanded to cater to the Jewish farmers scattered throughout northeastern United States. Many of these farmers were European immigrants who were isolated from the Jewish communities. The students brought them much appreciated Torah literature and subscriptions to Yiddish periodicals. Great efforts were made to enable their children to study in Jewish day schools in the larger cities. This service also provided a full mobile “Chabad center” which circulated among the areas populated by these farmers. The students spent months on the road, often subsiding on matzah, canned fish, and vegetables for weeks on end. The Rebbe eagerly read their mailed reports, in addition to extensively debriefing them upon their return. The students were often amazed by the Rebbe’s care for, and intimate knowledge of, Jewish life in the remotest of communities. In the early 1950s, the Rebbe added international destinations to the growing list. These tours were grueling marathon trips which often included tens of countries and multiple continents. The Rebbe would pore over maps and statistics and personally choose the itineraries. Sardinia, Italy; The Dakotas; Bosnia; Beijing, China; Des Plains, IL; Kauai, HI; Wales, UK....Chabad representatives have brought Torah, joy and warmth to Jews in thousands of cities in over one hundred and fifty countries. The hundreds of young students who participate in this annual program stand on the forefront of Jewish life. They visit thousands of outposts in Asia, Europe, the Americas and beyond. Their luggage consists of kosher food, Jewish books and educational material, as well as tefillin, mezuzot and other religious articles. All in all, thousands of mezuzot and tens of thousands of Jewish information packets are distributed each year in thousands of communities. “Our goal is to make Judaism accessible, inviting and relevant to every Jew, everywhere,” says Rabbi Moshe Kotlarsky, Vice Chairman of Merkos L’inyonei Chinuch who oversees the program. In a small town in Serbia, the tiny Jewish community had a shofar but no one knew how and when it was to be blown. In Ontario, a thought provoking Torah class provides Jewish food for thought. In Wisconsin, a young family basks in the joyful atmosphere created by the Shabbatons arranged by the young visitors. In many places, they have become an integral part of the fabric of Jewish life, as their yearly visits have become a much-anticipated highlight of, and source of inspiration for the entire year.